UK realtor Barratt London is offering Indians semi-luxury apartments, which are more ordinary with basic facilities and perks. New Delhi: The dream of a London house is not just for the likes of Shah Rukh Khan or Shilpa Shetty-Raj Kundra anymore. Barratt London, a big realtor in the United Kingdom, is pitching one- and two-bedroom apartments to Indians looking to buy a second home in one of the world’s most expensive cities to live in. The real estate major set up a property exhibition at Shangri La Eros Hotel in New Delhi on 12 and 13 January. The expo wasn’t the first of its kind — the annual International Real Estate Expo sets up similar exhibitions for luxury homes on an annual basis. The crucial difference, however, was in its target audience. Typically, Indians seeking to buy homes in London are the ultra-rich. Actors and industrialists are known to own houses and occasionally reside in the city where Indians have migrated for years. Barratt London’s arrival is, therefore, unusual for two reasons. 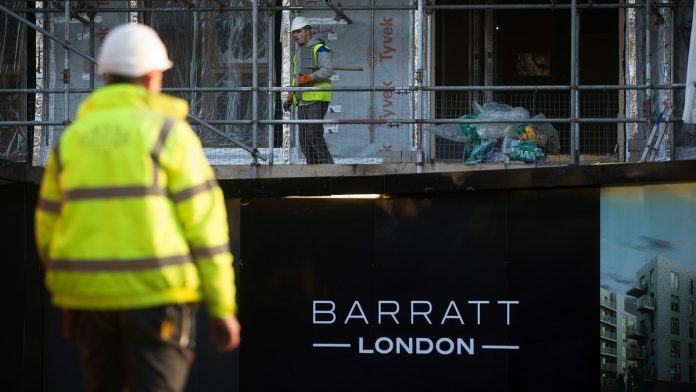 Firstly, a bulk of the properties being sold by Barratt are not luxury homes but semi-luxury apartments, indicating a shift in the kind of demographic looking to buy property in London. Unlike (luxury) homes, these apartments are more ordinary, with basic facilities and perks comparable to what Indian builders such as DLF and Lodha offer. They are located in Zones 3, 4, and 5, which are approximately 15 minutes away from the heart of the city and are distinctively less glamorous than upscale districts like Mayfair in Zone 1. The second reason is the timing. The property market in the UK is said to be on a steady decline, and will likely remain on tenterhooks till Brexit’s fate is sealed. Moreover, if the British Parliament passes Brexit Tuesday on Theresa May’s terms, immigration — particularly for Indian students — is likely to become more difficult. Already, the UK has seen a drop in the number of students attending university. But none of this seems to have caused a dent in Indian demand for housing there, says Stuart Leslie, director of international sales and marketing at Barratt London. “The response in India has been just fantastic. People are really drawn to the idea of owning a house in London, even if it isn’t luxurious,” he said. Even an ordinary flat in the crowded district of Hounslow is expensive. Barratt is selling one-bedroom flats from £380,000, two-bedroom ones from £455,000 and three-bedroom ones from £560,000 — a range of approximately Rs 3 crore to Rs 5 crore. With prices comparable to houses in the posher districts of south Mumbai or Delhi, apartments like these in London find a lucrative market among India’s emerging business class, or “high net-worth individuals”. “As of today, a considerable number of young Indians from the entrepreneurial set, the nouveau riche, those with settled families abroad, and those with upcoming or existing business interests in a certain country will consider buying a property there,” said Anuj Puri, chairman of ANAROCK Property Consultants. Most Indian buyers are looking to invest in second homes rather than to seriously immigrate to the UK, which perhaps explains why Brexit isn’t proving to be too much of a deterrent. For others, owning a house in London is a status symbol. Another factor is that Brexit fears are driving property prices down, making it cheaper and more attractive to a foreign market. “Uncertainty is driving favourable conditions for overseas investors with better exchange rates and more choice of property,” said Leslie. As the value of property continues to dip, homes are becoming more affordable for Indians looking to live abroad. This is especially so considering the Reserve Bank of India (RBI) has doubled the Liberalised Remittance Scheme (LRS) — which would allow one to buy property abroad — for resident individuals to $2,50,000 annually. An investment banker who didn’t want to be named said buying a house while the impact of Brexit remains ambiguous isn’t the best idea. “When someone invests in a home — especially in such an expensive place like London — they expect returns. A flat in a low-end area with nothing special to offer cannot guarantee that, especially at a time when the market is so low,” the banker said. Sushant Ohri, a business development manager with Emaar Properties, said that investors are holding off recommending their clients buy property in London till the Brexit crisis tides over, but added that “eventually, investments will pick up”.